Are you frustrated by the lack of traffic and leads you’re currently getting? Did you know the single biggest reason why most videos don’t get traffic has absolutely nothing to do with the video itself…? Or that 99% of videos are doomed to fail before they even see the inside of a video editor…? This is because you must GET THE CONTENT RIGHT FIRST! What Is The Ultimate Video Traffic Blueprint? The Ultimate Video Traffic Blueprint contains 5 proven fill-in-the-blank video templates that reliably produce unstoppable traffic with video. 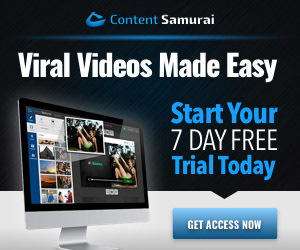 Each template contains a proven time-tested video script formula that reliably generates results. And you’ll be guided step-by-step through a complete worked example at every stage so you fully understand how each part works, and how to apply it to YOUR videos immediately. This powerful video template library sells for only $49. …Even if you don’t think you need it today, trust me… you will! Get The Ultimate Video Traffic Blueprint Now.